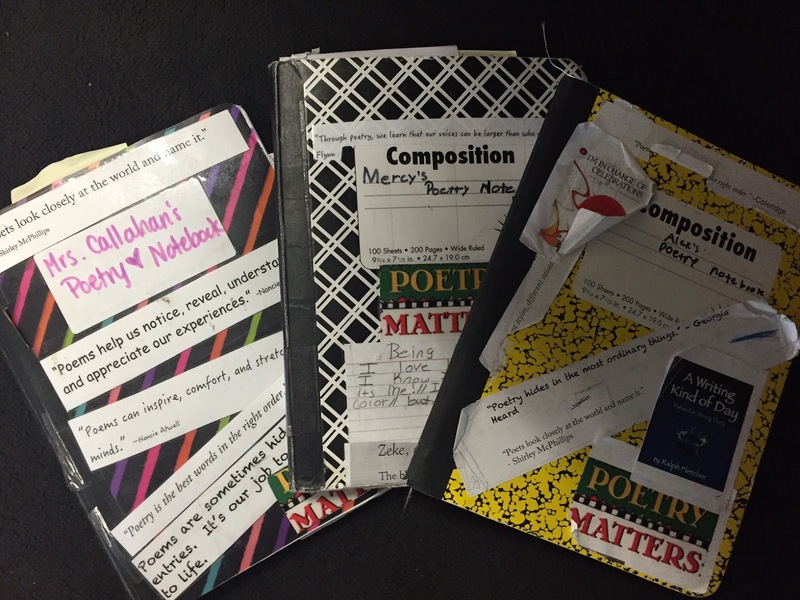 The Poem Farm: Welcome to Mrs. Callahan & Her Poets from Kansas City! Welcome to Mrs. Callahan & Her Poets from Kansas City! It is my great pleasure to host fourth grade teacher Emily Callahan and her poets from the North Kansas City School District at The Poem Farm today. Please enjoy this beautiful post about the exciting and varied ways that these young poets read, write, and celebrate poetry together. In honor of this class, I am holding a book giveaway open to all who comment on today's post. I will draw a winning name at month's end, April 30. Thank you, Emily and thank you, Writers! I asked my poets to write a little blurb about Popcorn & Poetry. I think this captures it perfectly. Excitement fills the air. It’s Friday. It’s time to share, to think, to get smarter. It’s time for…. Popcorn & Poetry. “OK, Poets! Grab your popcorn and come on down to our circle and find a spot,” I say with eagerness in my voice. You can feel the energy of the poets as they rush down to get started. They sit down, open their poetry notebooks, review the tracks of their thinking and of course, they start munching on their popcorn. They know they don’t want to waste a single second of this precious time together. This is at typical scene in our classroom when it’s time for our favorite classroom ritual… Popcorn & Poetry. 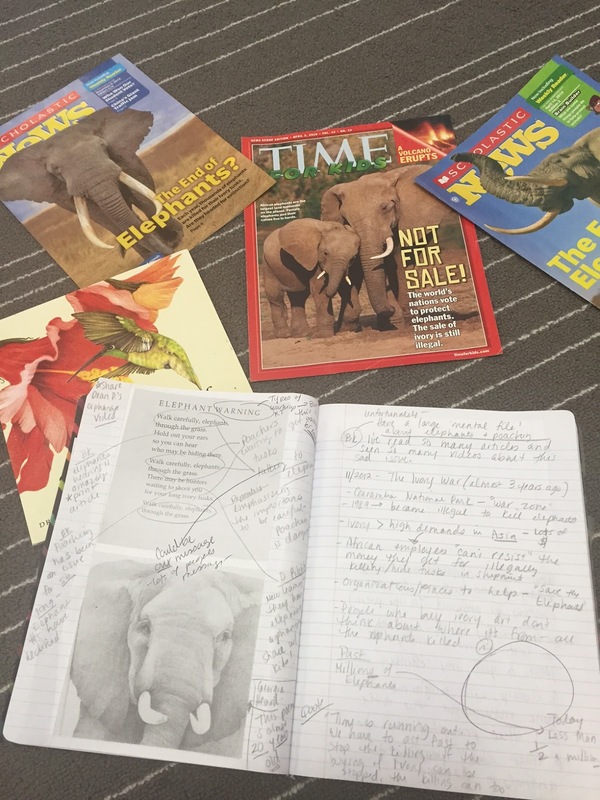 This ritual started in August when I read this post by Tara Smith from Two Writing Teachers. 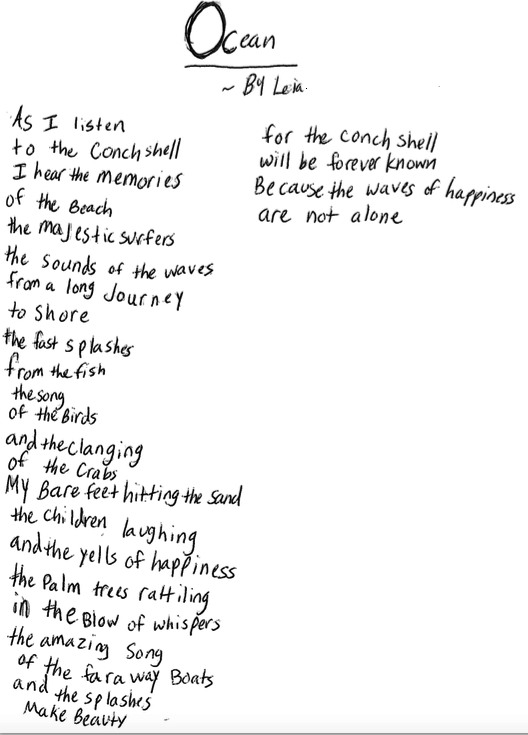 I’d always wanted to devote more time to poetry throughout the school year and not just leave it for April. When I came across their post in August I thought, we could do this! 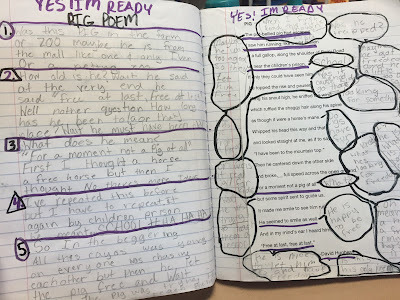 We could, as Georgia Heard says, “live with a poem” for a week - we could unpack as readers and writers and jot about our thinking. My mom, a retired teacher, threw in the popcorn part (I mean, who doesn’t love alliteration and snacks?). Robbie and Isaiah Share Different Interpretations. Mercy & Makenzie Exchange Insights. 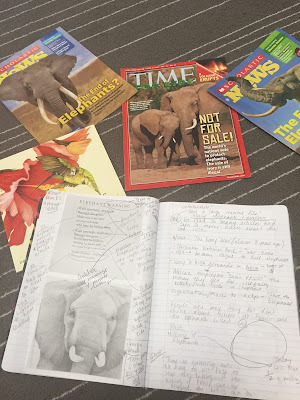 We Build Thinking & Jot Others' Ideas in Share Circle. We each devoted a special notebook dedicated to poetry. We decorated it with our favorite poetry quotes, books, and titles. 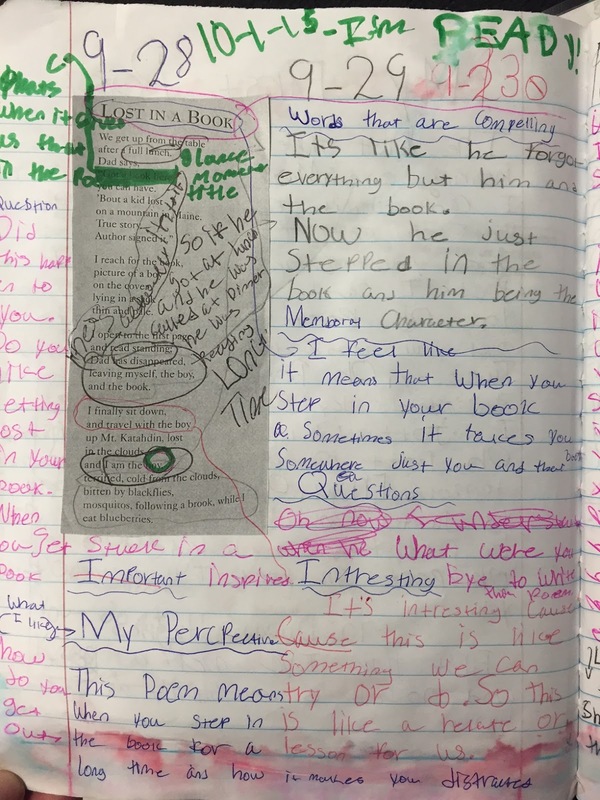 We use this notebook to talk back to the poems and jot each other’s thinking since we know we gain new understandings through talking about different poems. 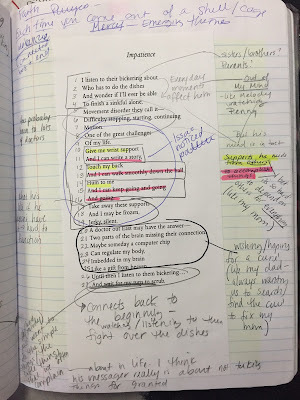 As the teacher, I always do the work right along with my readers and writers. Many of us become inspired to write our own poems because of our Popcorn & Poetry sessions. 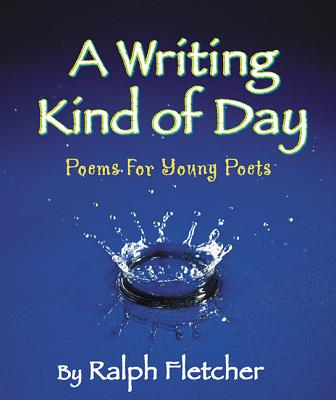 We Love Our Mentor Ralph Fletcher's Words, "Poetry Matters." I, Mrs. Callahan, Go Through the Writing Process Too. Mercy Color Codes Her Thinking. About Our Team, the Kansas City Royals. Visited Our Class. His Grandaughter, Mya, is a Poet in our Class! What We Think, What the Author Might Think, Friends' Ideas. Last fall we Skyped with author Dean Pitchford and he shared a story to an elephant orphanage on a recent trip to Africa. This inspired me to use Georgia Heard’s poem, "Elephant Warning" from CREATURES OF EARTH, SEA, AND SKY. 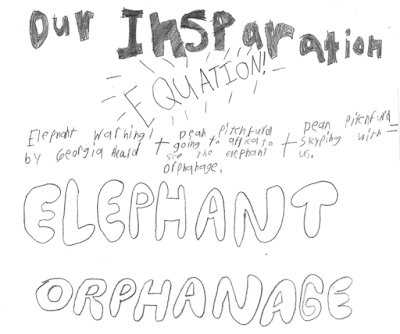 This then inspired two boys, Aiden & Robbie (two boys in a self-formed Poetry Club), to write a poem entitled "Elephant Orphanage." 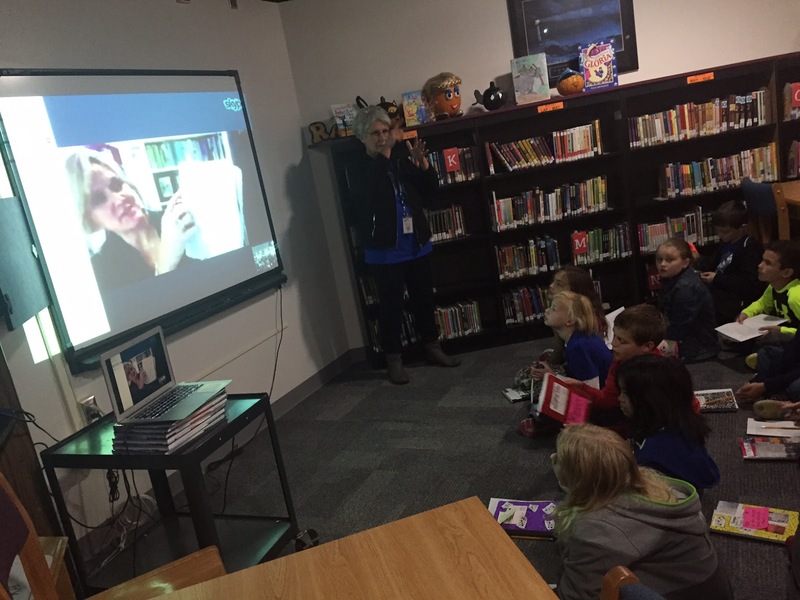 We Learn from Skype, Articles, Other Poets. Inspiration Comes from Many Places. 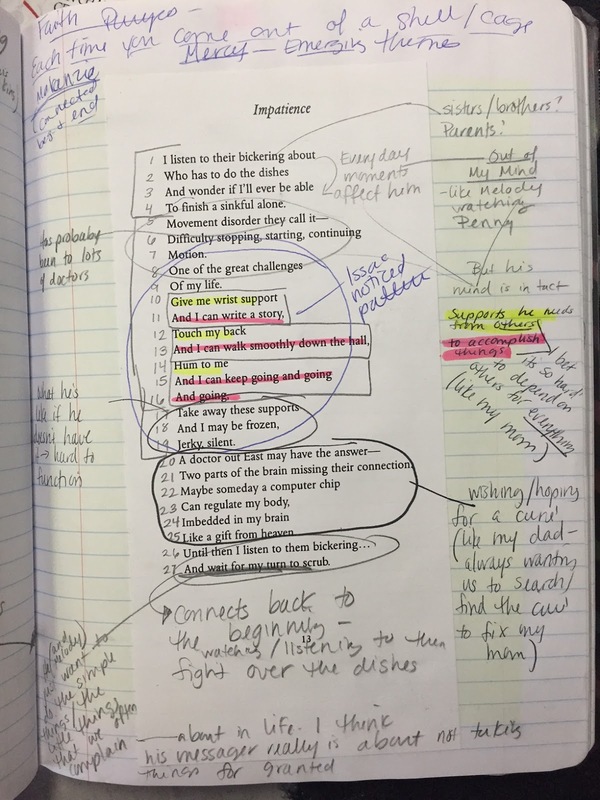 Here Are Some Notes about Georgia Heard's Poem. 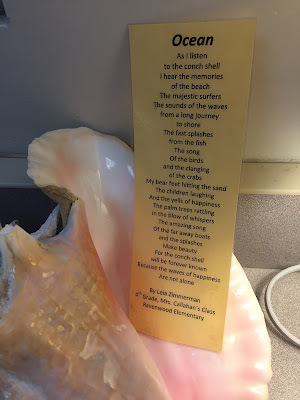 We Use Them to Display Our Poems. 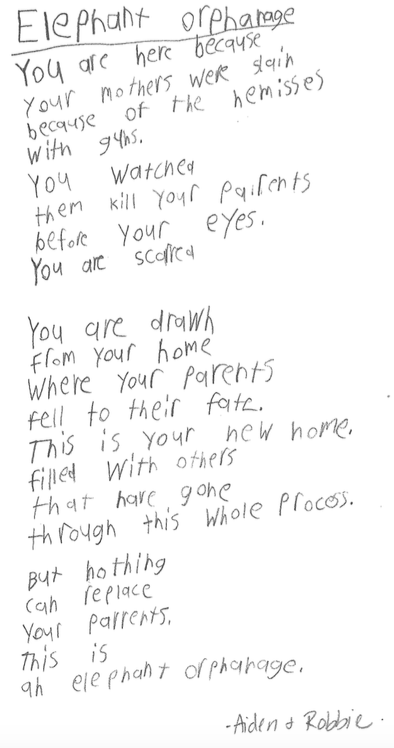 After one Popcorn & Poetry session, Leia was inspired to write a poem from a memory after reading several poems where it was obvious the poet had done this as well. 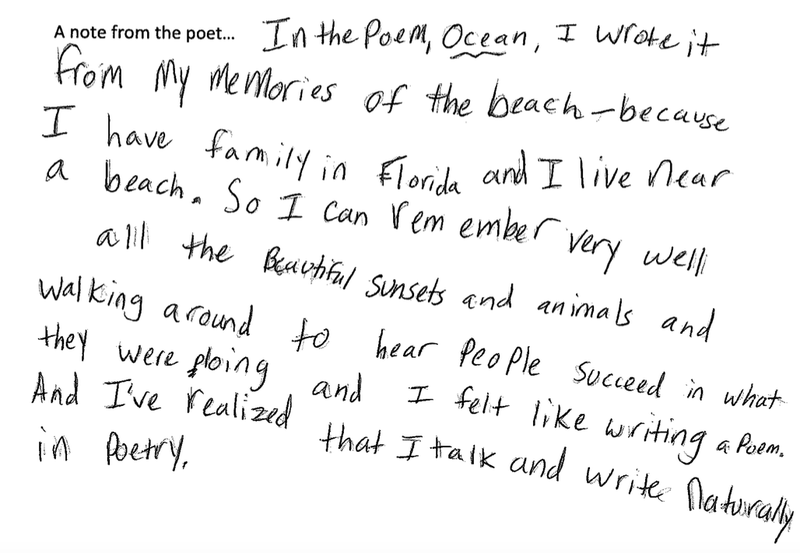 Memory Poems Reminded Leia of Florida. We Reflect on Our Process. Leia Needed to Display This, and a Conch Shell was Perfect. 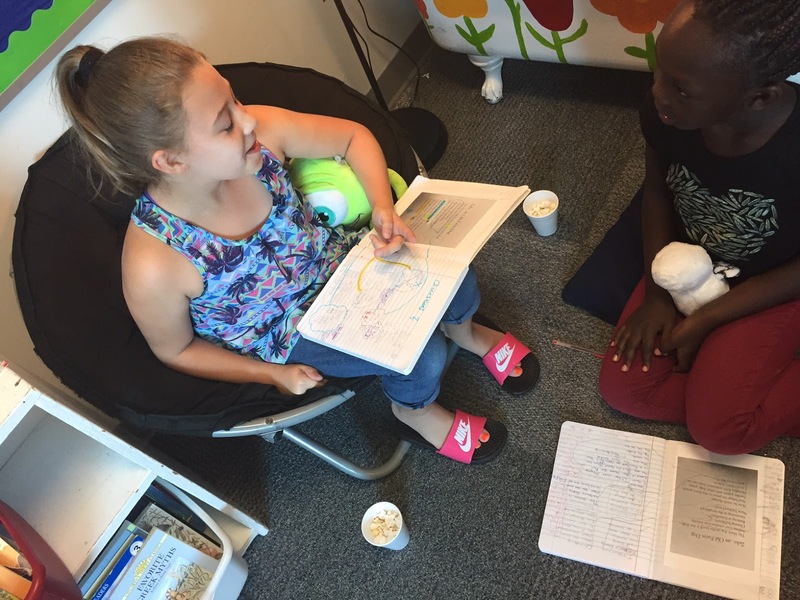 Recently, a 5th grade teacher inquired about Popcorn & Poetry so we invited her class to come and watch a Friday session. We decided to give our visitors some background information, we would make a movie sharing what this was all about. Initially the audience was just them but now, we have the urge to share this with the world to not only share what it is, but more importantly, to inspire others. We also like to “change up” Popcorn & Poetry from time to time but something that stays the same no matter what- we experience poems, share ideas, and think deeply. Mrs. Callahan picks a poem or gives us some options. 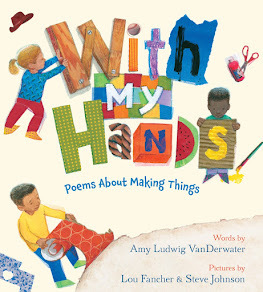 Sometimes we read a poem that connects to something we are learning in science or social studies or that connects to a read aloud. We host guest poets from around our community and from our classroom! The Pauses and the White Space are just as Important as the Words. Author and Teacher Penny Kittle Answered Our Questions. 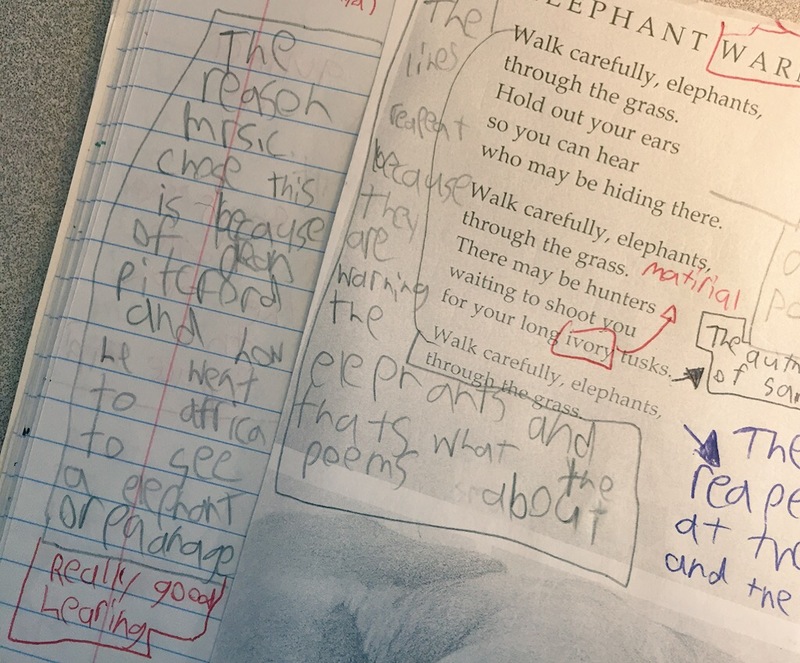 We collaborate with younger grade levels and teach them about poetry. We love conferring with first graders. We’ve invite parents to join us. 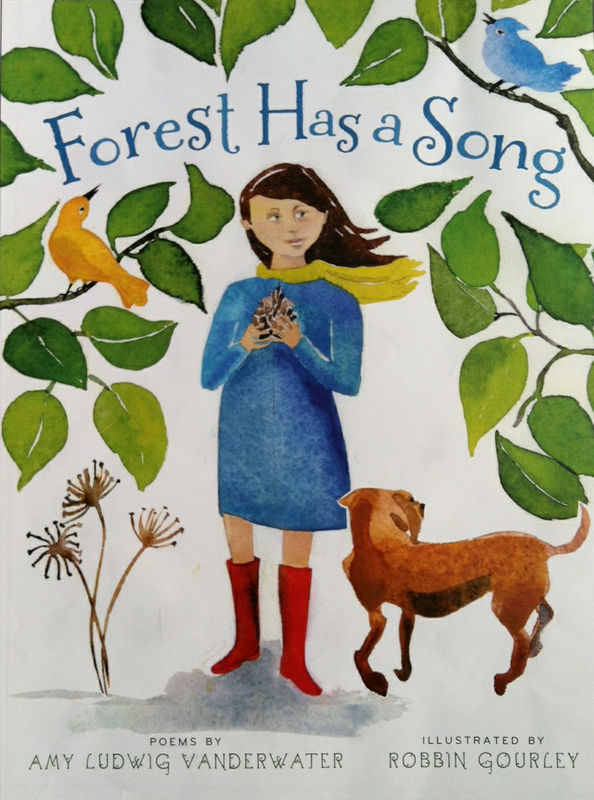 We look at images to inspire poems. 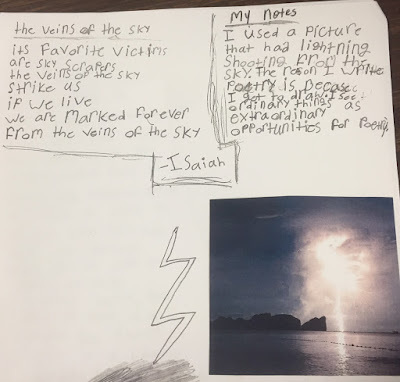 Isaiah Writes from an Image With a Poet's Heart. to Try Writing from Images with Our Poets. And we don’t always stick to just popcorn! While popcorn is our favorite, we’ve also had Pretzels & Poetry, Popsicles & Poetry, Peanuts & Poetry… You get the idea! We hope we’ve inspired you to create your own time devoted to the amazing world of poetry! Emily Callahan has been teaching second through fourth grades in the North Kansas City School District for the past thirteen years. 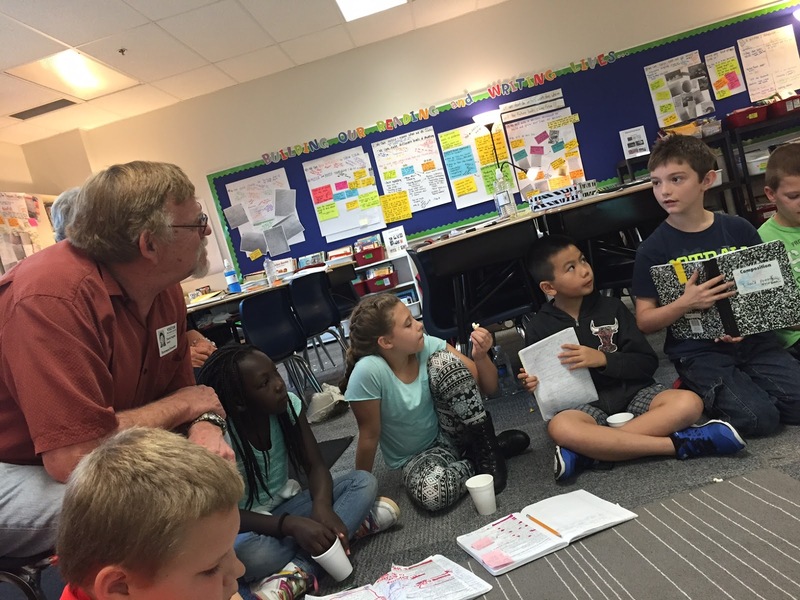 She is a literacy demonstration teacher and welcomes visitors from in and around the district to come into her classroom to get smarter with her and her kids. 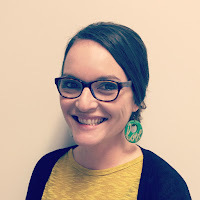 Over the past five years, she’s had numerous opportunities to work closely with different literacy consultants so she’s constantly learning from several of her teaching mentors. She considers herself first and foremost a learner and loves digging in and doing the work with her readers and writers. Emily became a teacher because of her mother Nancy, a primary teacher in their small town for twenty-five years. Emily knew from a very young age that she would be a teacher too and even has the clawfoot bathtub from her mother's classroom in her own classroom now...along with hundreds of inherited books. Emily lives in Liberty, MO with her husband Jeremy, their two little boys, Fletcher and Theodore and two dogs, Moose and Milo. She loves reading poetry with her young readers at home. 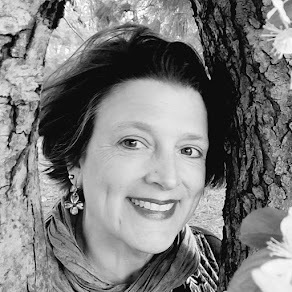 You can find Emily on Twitter here - @emilyscallahan and visit some of her favorite blogs and sites here - Two Writing Teachers, To Make a Prairie, The Poem Farm, Sharing Our Notebooks, Indent, Watch. Connect. Read., Ralph Fletcher. 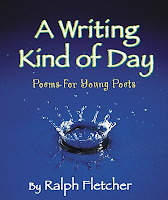 In honor of these poets and their teacher, Mrs. Callahan, The Poem Farm will mail a copy of one of this class's favorite books, A WRITING KIND OF DAY by Ralph Fletcher, to a commenter on this post. Please leave your comment by midnight on Saturday, April 30, to be entered to win. In other wonderful classroom news, I am happy to host teacher and librarian Stefanie Cole and her students from Ontario, Canada at Sharing Our Notebooks this month. 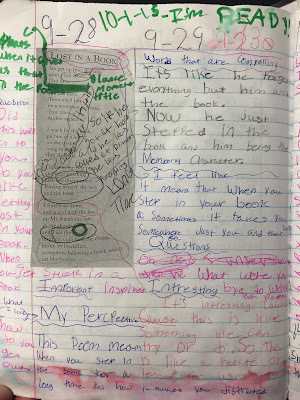 This is a fantastic post full of notebook inspiration, a video clip, and a great book giveaway from Stefanie. Please check it out, and leave a comment over there to be entered into the giveaway. Wow! Mrs. Calhoun is flat-out AMAZING! Thank you Mary! I'm a big fan of yours! This post was just brimming with the joy of writing and reading poetry! What a fun classroom and teacher! Thanks for sharing this. The video was awesome. Thanks Donna! They made the video with a super short deadline but they had loads of fun doing it! I'm so happy the world gets to meet Emily Callahan and her amazing poets! 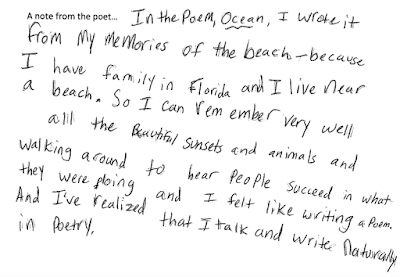 With a start like this, there is no doubt that these kids will "live an endless poetry life"! I love how you have incorporated so much poetry into your week! Poetry passion abounds with these students! Well done! I am inspired with many new ideas. Would love to know what you try!! This is just wonderful. Wish I was teaching again so I could try this. 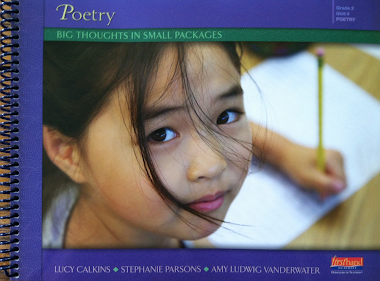 Purposeful and impressive lessons and opportunities for young writers and poets. Terrific. Congratulations to Mrs. Callahan and her students. I have the privilege of teaching right next door to these amazing poets and their outstanding teacher! I learn so much from Emily and her students, their love for poetry has impacted not only our entire grade level, but our entire school! 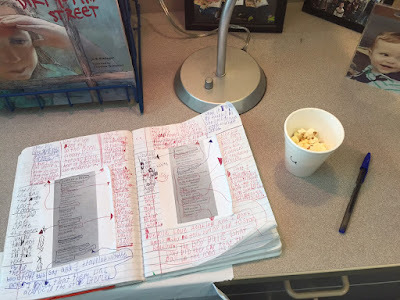 Popcorn & Poetry has been one of my students' favorite rituals this year. 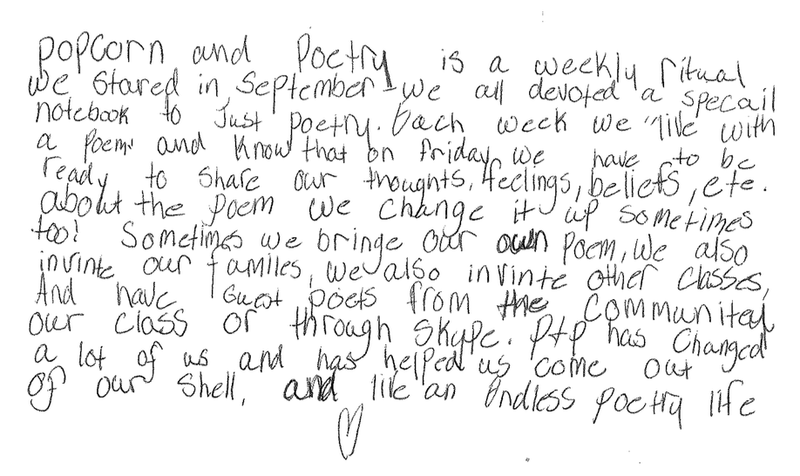 P&P has opened them up as writers and we have had so many beautiful conversations around poetry. Such joy! My life is brighter, fuller, more beautiful because of these poets and Emily Callahan! 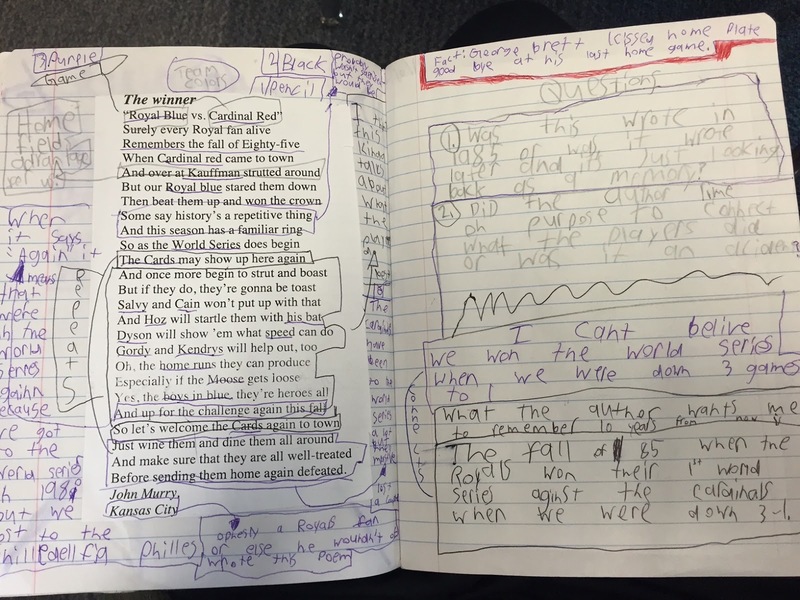 Can you imagine being the Principal of these incredible poets?! My daughter will enter the fourth grade next year. I'm excited to share this with her! My daughter will enter the fourth grade next year. I can't wait to share this with her! Teaching across from Mrs. Callahan has taught me so much! 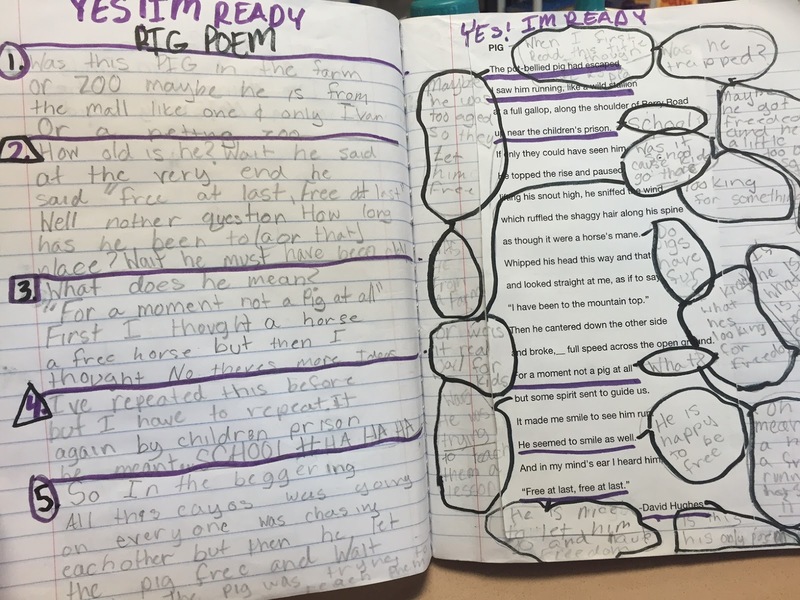 Her students have inspired all of 4th grade to grow as poets! I am so excited to see them sharing their poems with the world! I'm so lucky to work with people like Debbie Miller, Katie Liseo, Tiffany Gaul, and Amy Casey! You all inspire ME! This post is for stealing. 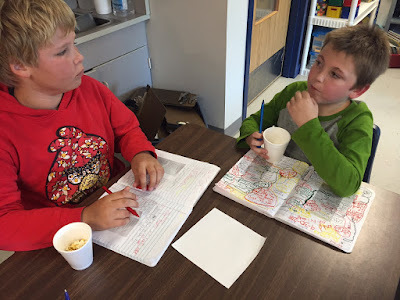 I love the idea of poetry and popcorn and so will my students. Thanks for sharing! "Steal away!" This is a place for getting smarter and being inspired from one another!! Let us know how it goes! Just the inspiration I needed to think about how to incorporate more poetry into my daily practice. Wow! It was amazing to learn about your class and the kind of poetry you guys can do! 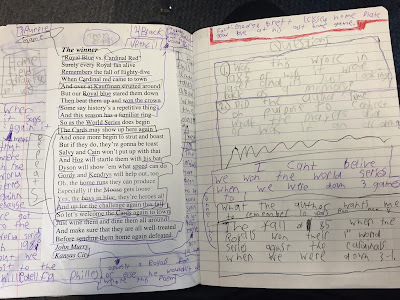 We liked reading all the different poems you wrote and they are already good. You are not grown ups yet, but your poems are really good. We loved reading your comment! Thank you! 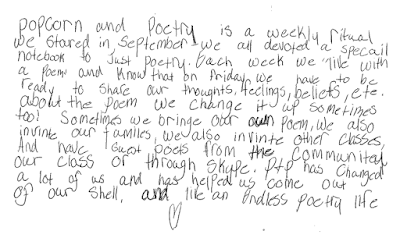 Your influence on Lily in third and fourth grade has given her a lifelong love of writing and poetry. By introducing one of my children to poetry you have introduced a whole new way for all 6 of my children to express their thoughts and feelings. They keep a poetry Journal at home and take turns reading their poems to each other. They also like to read poetry books to each other. They expecially like reading the poems written by the kids at school. 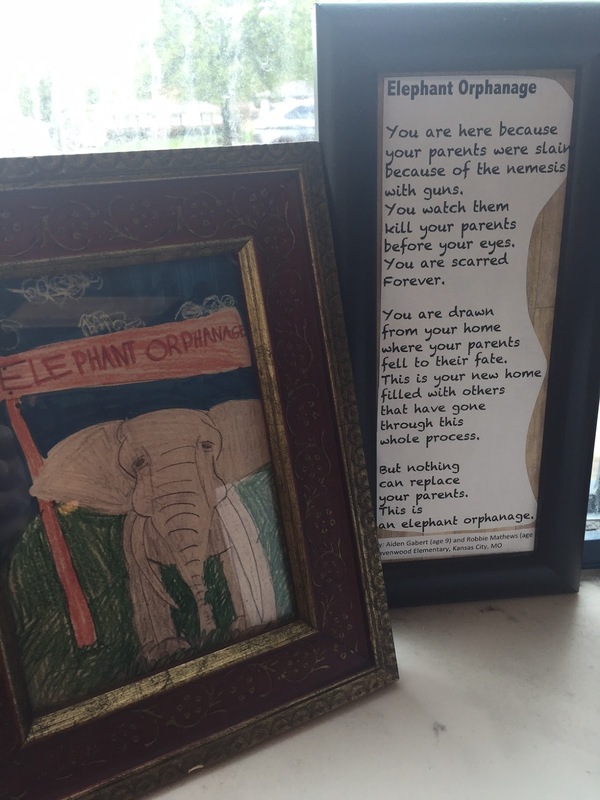 Knowing the author of the poem makes reading it feel more personal for them. This is so great and so beautiful! Poetry does indeed matter! I have had the privilege of learning alongside Mrs. Callahan from the time we were beginning education students in our undergrad. I've also been blessed to be under the influence of her wise and generous mom, Nancy, a time or two. The apple does not fall far from the tree. 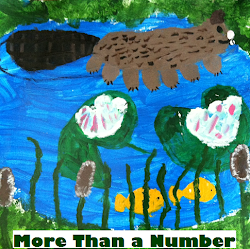 Emily never ceases to teach me something new and she generously gives ideas and texts for the benefit of all learners. 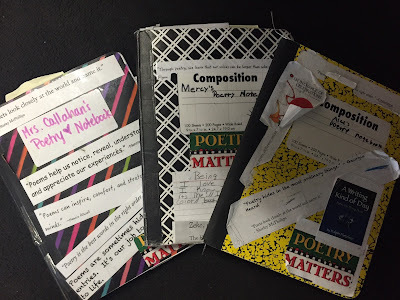 This post is no different...I cannot wait to put some of these ideas into practice with my own 4th grade poets. Children greatly benefit from the hard work and dedication of Emily Callahan. 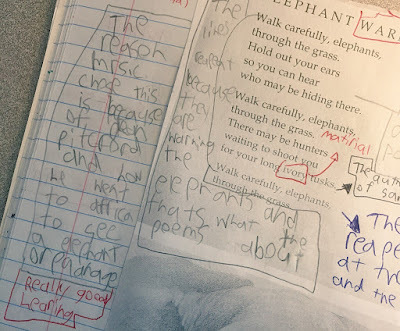 The evidence is in the work her students are doing, the conversations and deep thinking, and inspirational writing being accomplished. Emily, please pass word to your students, that I think they are beautiful writers, inspirational, and poets we will strive to be. Well done! Thank you Nikki! You always inspire me! 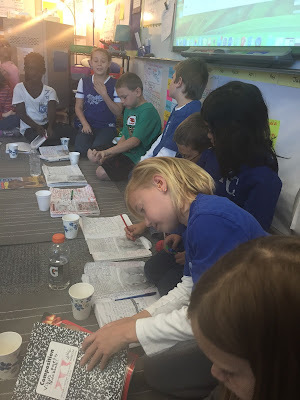 WOW, what a wonderful classroom tradition and a classroom filled with joyful learning. Thank you for sharing. A day off of school has me missing these terrific poets and Emily. I get to be with them everyday and it is amazing!!! It's like a one way trip to the top of a Ferris wheel. Amy, I am so impressed with Emily's class of young poets and their notebook work that I am asking them to join my next gallery, Springs Seeds. Thank you for showcasing their work. An amazing teacher and an amazing group of children! Thank you for sharing their story. Wow! I loved seeing the video. Thanks, Carol V., for sharing the link. My favorite quote: "Poetry is words passed through the heart." THANK YOU FOR THIS! wOW! Popcorn ... Poetry ... a win, win. Such a wonderful post! 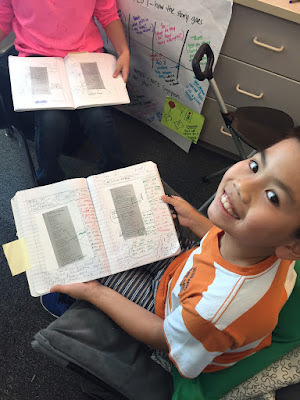 I love that you mention you, too, have your own notebook to write in while the kids write. Such an important detail that some teachers sometimes forget to do. If we want kids to develop a love for anything, we must first show them it is worth loving by joining in on the fun! Awesome video, too. :-) Thanks!